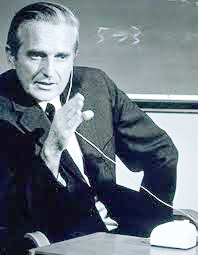 The Douglas Engelbart Best Paper Award for best paper which is named after Douglas C. Engelbart, in recognition of his life's work and contributions to the field of hypertext and hypermedia. 2016 | Charlie Hargood, Verity Hunt, Mark Weal and David Millard. Patterns of Sculptural Hypertext in Location Based Narratives. 2015 | Axel Schulz, Benedikt Schmidt, and Thorsten Strufe. Small-Scale Incident Detection based on Microposts. 2014 | Georges Gouriten, Silviu Maniu, and Pierre Senellart. Scalable, Generic, and Adaptive Systems for Focused Crawling. 2013 | David Millard, Charlie Hargood, Michael Jewell, and Mark Weal. Canyons, Deltas and Plains: Towards a Unified Sculptural Model of Location-Based Hypertext. 2012 | Björn Elmar Macek, Christoph Scholz, Martin Atzmüller, and Gerd Stumme. Anatomy of a Conference. 2011 | Ricardo Kawase, George Papadakis, Eelco Herder and Wolfgang Nejdl. Beyond the Usual Suspects: Context-Aware Revisitation Support. 2010 | James Goulding, Tim Brailsford and Helen Ashman. Hyperorders and Transclusion: Understanding Dimensional Hypertext. 2009 | Nicolas Neubauer and Klaus Obermayer. Hyperincident Connected Components of Tagging Networks. 2008 | Xiaolin Shi, Matthew Bonner, Lada Adamic and Anna Gilbert. The Very Small World of the Well-Connected. 2007 | m. c. schraefel | What is an Analogue for the Semantic Web and Why is Having One Important? 2006 | Kenneth Anderson, Allan Hansen, and Niels Olof Bouvin. Templates and Queries in Contextual Hypermedia. 2005 | Stuart Moulthrop. What the Geeks Know: Hypertext and the Problem of Literacy. 2003 | Jocelyne Nanard, Marc Nanard and Peter King. IUHM, a Hypermedia-Based Model for Integrating Open Services, Data and Metadata. 2002 | E. James Whitehead, Jr. Uniform Comparison of Data Models using Containment Modeling. 2001 | Samhaa R. El-Beltagy, Wendy Hall, David De Roure, Leslie Carr. Linking in Context. 2000 | Carole Goble, Simon Harper and Robert Stevens. The Travails of Visually Impaired Web Travellers. 1999 | Frank M. Shipman, III, Catherine C. Marshall and Mark LeMere. Beyond Location: Hypertext Workspaces and Non-Linear Views. 1998 | Catherine C. Marshall. Toward an Ecology of Hypertext Annotation. 1997 | Kaj Grønbæk, Niels Olof Bouvin and Lennert Sloth. Designing Dexter-based Hypermedia Services for the World Wide Web. 1996 | Nitin Sawhney, David Balcom and Ian Smith. HyperCafe: Narrative and Aesthetic Properties of Hypervideo.